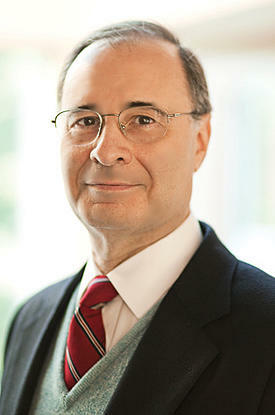 Dr Larry Jonas is the Chief of Plastic Surgery for the Main Line Health Hospital System. He is board certified by the American Board of Plastic Surgery and is a member of the Aesthetics Society, which is an exclusive honor society of doctors that practice Cosmetic Surgery and are boarded in Plastic Surgery. Dr. Jonas has been repeatedly recognized in the Top Doctors list by Mainline Today Magazine and Top Doctors list in Philadelphia Magazine. In addition Dr Jonas is the only physician "double-boarded" in the Delaware Valley in General Plastic Surgery and in Head and Neck Surgery. Dr. Jonas obtained his medical degree from the University of Pennsylvania. He performed his residency in Head and Neck Surgery at the University of Pittsburgh, which included extensive training in facial plastic surgery. This residency provided him with unique training, skills and perspective for treating his rhinoplasty and facial surgery patients. Dr. Jonas then went on to perform his general plastic and reconstructive surgery residency at Boston University and Lahey Clinic. This provided him a unique foundation for his 30 year practice in breast augmentations, reductions and body contouring.